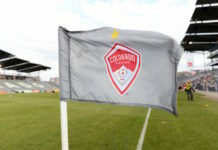 The Colorado Rapids made their second trade of the season on Thursday, sending midfielder Dillon Powers to Orlando City SC for Luis Gil and $100,000 in Targeted Allocation Money. The decision to move Powers, who had spent his entire four-plus-year MLS career with the Rapids, doesn’t come as a surprise. 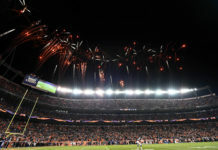 When the secondary transfer window opened a couple of weeks ago, reports immediately started circulating about the Colorado’s willingness to deal Powers. Fans and media (myself included) had long vocalized their displeasure with the performance of Powers, who fell out of Pablo Mastroeni’s starting lineup early in the season. Powers’ first touch, decision making and ball control had all become big problems, and he became a liability on the pitch. 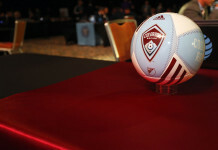 In the trade, the Rapids get rid of one of the most expensive contracts they had on the books and bring in a young player who has yet to reach his full potential. From a young age, Gil drew the attention of some big names and big clubs in the soccer world. He was a regular at the U.S. youth level in his younger days and has even made two appearances for the senior USMNT. He was also eyed by clubs in the best leagues in the world when he was younger. After signing a Generation adidas contract at 17 years old, Arsenal, the Premier League team that the Rapids have a partnership with, considered signing him. Ultimately, he signed with Real Salt Lake, where he spent the first five years of his career. Gil then moved to the Liga MX side Queretaro, but after a lack of opportunity was loaned in 2017 to Orlando City SC. After his trade to the Rapids, he’ll play out the duration of his season-long loan with Colorado. Rapids sporting director Padraig Smith had this to say about the acquisition of Gil. He also commented on the next chapter of Powers’ career, and what he meant for the team. What will Gil provide for the second half of the season for the Rapids? He’s an attacking midfielder, something that the Rapids haven’t utilized often, and something that fans have been clamoring for. Is his the type of talent that immediately improves the team? No, but his offensive-minded approach should lead to more chances and aggression when he’s in the game for the team. Gil, who’s scored 11 goals and had nine assists in 151 MLS matches, arrives at a time when many are counting the Rapids out of the playoff race. He’s played in 17 matches with Orlando City thus far in 2017, so he should be ready to come in and contribute immediately. He probably won’t play this weekend in Dallas, but he’ll be eligible in every game after. The question becomes, is this the Rapids front office trying to make a run at the playoffs, or is this the front office trying to satisfy a perturbed fan base? My money is on the latter. Regardless of what happens this year, getting Powers’ contract off of the books is worth it in and of itself, and the fact that they can rent out a good attacking midfielder and grab $100,000 in TAM is just icing on the cake.